A photograph is but a moment frozen in time, preserved for the future. They have the power to tell stories, convey feelings and the strength to move us emotionally. Photographs have the ability to capture a moment that's gone forever, one that's impossible to reproduce. I'm so excited to announce a BRAND NEW FEATURE over here at t.o. & fro! 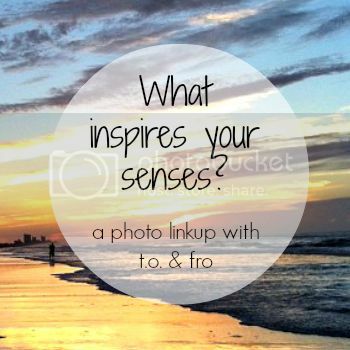 If you've been around these parts of the blog world for a year or so, you may remember two photography linkups I've held in the past called "What Inspires Your Senses"? They were so fun that I'm now making them a monthly feature! 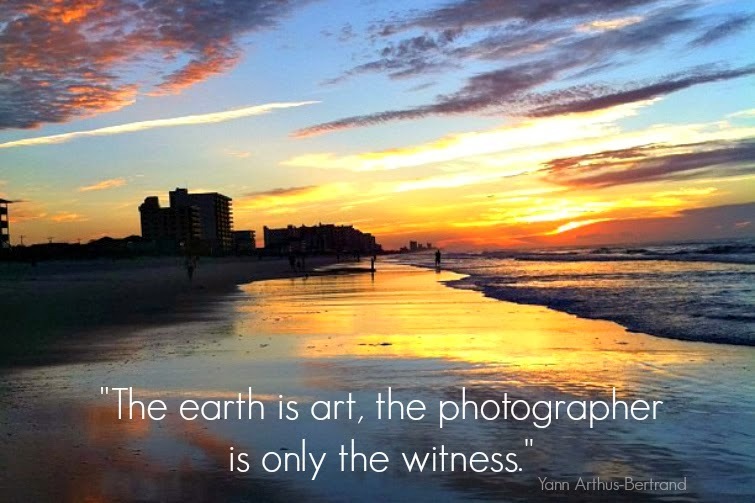 On the last Wednesday of every month, I will challenge you to select 5 of your favorite personal photographs - one that best describes each of your 5 senses: see, smell, taste, touch and hear. As an added challenge, come up with one for the "sixth sense", an open-ended category to interpret your own way. The photos can be ones you've taken recently or those you've dug out of the archives, those you've taken in one location or in several and even those you've taken with a DSLR or on your smart phone. No photography skills are needed, just your imagination and creativity! 1| Linkup your blog post the last Wednesday of every month, starting at 7:00am EST. 2| Follow Mar from t.o. & fro and our monthly cohosts. 5| Check out as many blogs as you can to see what inspires others' senses! Get your photos ready - the link up starts Wednesday, October 29! Interested in co-hosting? Visit my advertise page for more information! I love this link up idea, what a challenge! but a fun one! I think this is a great link up idea and I will certainly try to join in.